Based on the collective whiskey research of F.Paul Pacult&Michael Jackson. 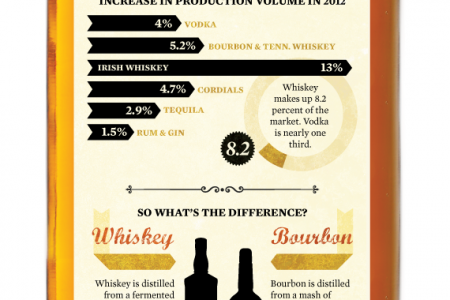 Bourbon & Whiskey: On The Rocks? 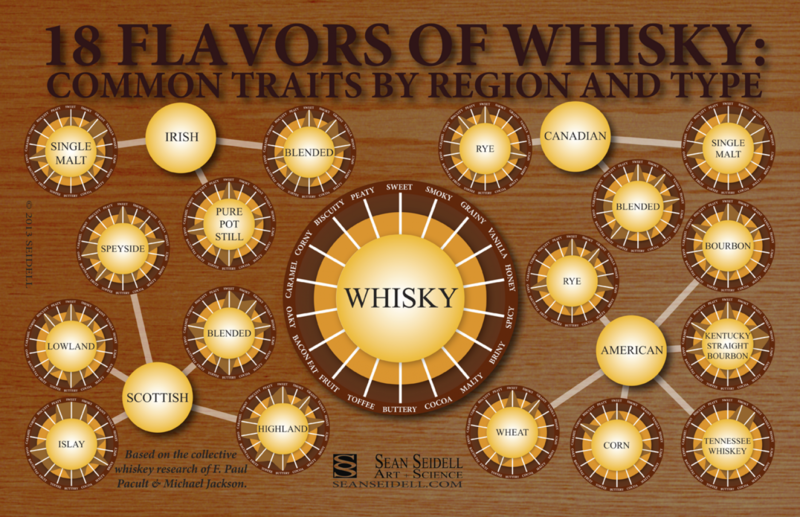 This is a visual representation of the 18 often reoccuring flavors in 17 different types of Whisky from Scotland, Ireland, Canada, and the United States. 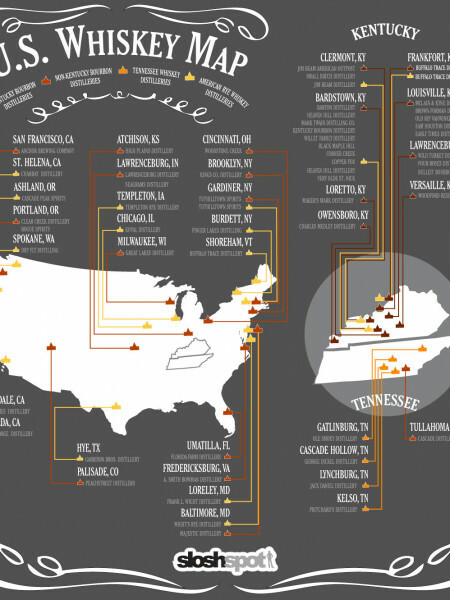 It is based on over 1000 reviews of notable ...	and honored whiskey experts F. Paul Pacult and Michael Jackson This infographic can help you explore new whiskey based on whiskies you already enjoy. 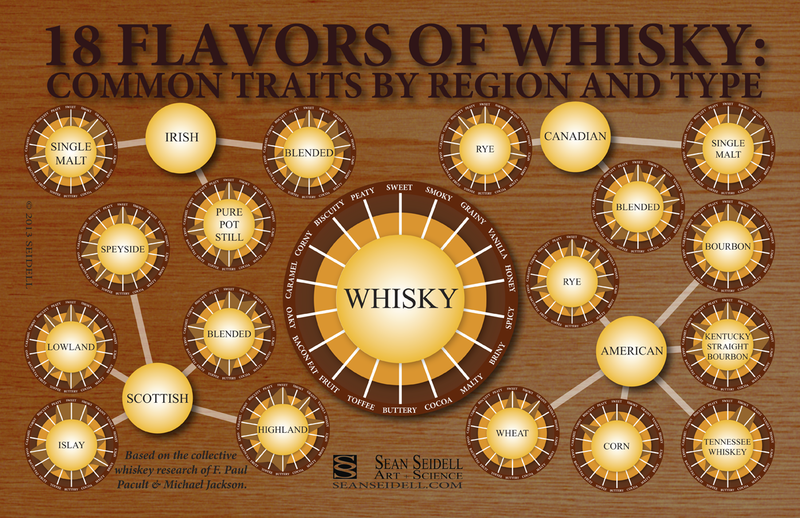 It also can aid you explain what you are looking for in a whisky.